There is just too much to be said and I feel as if I can't get it all down. Thoughts run through my head and feelings course through me and I seem not to be able to get it all down here. On top of that when I come to writing I seem to forget half of what I want to write. Though this is a challenge for me I think that not being able to get it all down has saved me from saying far too much at times. This is a problem, because at times I want to treat this as if it were a private journal, but of course it is quite public. I have I am afraid forgotten this at times. I have been kind of subdued and resting the past few days. I didn't feel well Friday and Saturday I went to a meeting, but did little else. Yesterday we had a house full of people for Memorial day. The severe Thunder Storms came through so everyone was inside most of the time. I saw people I hadn't seen in a while and that was nice. There was clean-up to do today and some of it is still yet to be done. Incredibly some of the people who snubbed us a while ago were invited and attended. I was gracious and polite, but nothing was said in the way of apology or explanation. I find that amazing. I guess I shouldn't. My former partner for so many years did something to me far worse and she never apologized. Though I was able to continue with her, I could never fully forgive her. She never admitted her part in things. I kind of feel similar feelings here. This was less severe than what my ex did, but without some recognition of wrongness I am afraid I can't find it in my heart to forget. This is so hard for me. I am such a normally gentle person and I cannot get rid of these awful feelings. I just at times want to go away and hide sometimes. I so much want to eat! This is a time for comfort food. I won't of course, partially because I can't and partially because I know my need to eat isn't physical, but emotional. Whenever life takes a turn like it seems to have, I feel so empty and alone. It's not all real, but certainly in my feelings it is all too real. Tomorrow I go to the Dentist and have the temporary crown removed and the permanent one put in. I can't believe that three weeks has passed! 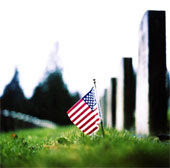 I feel I must put in the thought that Memorial Day isn't all about picnics. Many people gave their lives so that we might live in relative safety and freedom. I have not always agreed with our country's military policy, but the soldiers who have given so much and the families who have lost so much are worthy of remembrance. I am pretty much a pacifist and wish everyone could resolve differences without war and conflict. The reality is that I can't even do that in my own life. We are imperfect. God forgive us our imperfections!